Who wouldn’t enjoy an exciting cruise through Cape Town’s harbour? When you book a cruise through us, you can look forward to spending your time on board the Tigger 2 Royale – a 55-foot luxury Power Catamaran that’s powered by two 530hp in-board turbo charged diesel engines. Its top speed reaches 22 knots, with a cruising speed of 12 to 16 knots. Our Tigger 2 Royale is the flagship of the charter industry, with her exquisitely streamlined exterior, and plush white leather interior. She caters for a maximum of 65 guests, and has hosted many celebrity status clients since being launched in 2008. Whether you want to enjoy dinner atop a floating restaurant, or book your corporate affair or special function, we are without a doubt the best cruising company in Cape Town – ready to help you pull off a memorable cruise through Cape Town. 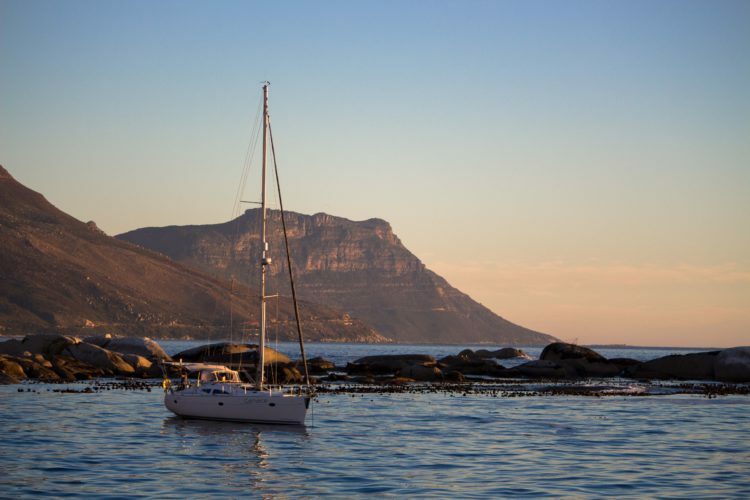 When you book a sunset cruise with us, by far one of our most popular choice of cruises, it takes you straight to Clifton 4th beach, or depending on the weather, to Table Bay. At the destination, you get to enjoy and take in the unbelievable scenic view that people travel thousands of kilometres each year to get a glimpse of, while sipping on a glass of Méthode Cap Classique sparkling wine. We then slowly cruise our way back as the sun sets, to the brilliance of the city’s twinkling lights. It is a first-class experience, as Table Mountain and the 12 Apostles act as an exquisite backdrop. Will you ever be able to recapture this special moment with a loved one, or make the same incredible memories again? Just take a moment and breathe in the beauty of our harbour, and share it with someone special, as you enjoy the 90-minute cruise. We also offer private sunset cruises for up to 65 people. For those in search of a unique venue to host your special occasion, look no further. Join us for a tasty lunch or exciting dinner aboard the Tigger 2 Royale, and treat yourself to the experience of a lifetime with our lunch and dinner cruises. We provide a choice of duration, and a variety of menu options for every pallet. When you book the lunch cruise, we depart from the V&A Waterfront, and take in the beautiful views of Lion’s Head, Signal Hill and Table Mountain, as we cruise along the coastline. We’ll either drop anchor in front of Clifton 4th Beach or Granger Bay. Should the water conditions be unfavourable, we’ll return to the mooring at the V&A Marina, where you can relax and indulge in a specially prepared lunch. In order to avoid disappointment, it’s necessary for you to book your Cape Town cruise well in advance. Speak to our professional reservationists to secure your preferred date, and let us provide you with a truly memorable cruising experience.